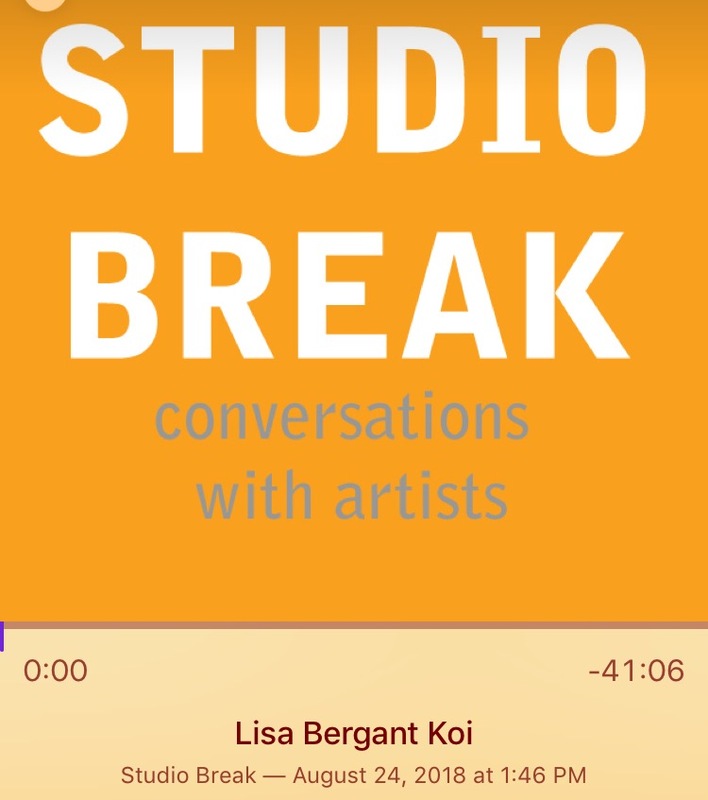 After a brief hiatus from our series of artist interviews, we're thrilled to return with the intriguing work of Lisa Bergant Koi. While her work is rooted in landscape, she does not consider herself a landscape painter. Hundreds of lines and gestures captured while riding as a passenger in a car serve as the primary source material for her finished works. We met Lisa in her sun-filled Etna studio in early November. She is working hard in preparation for a two-person show with a former interviewee, Lauren Braun so we consider ourselves especially lucky that she carved some time out to speak with us. I grew up about 20 minutes east of downtown Cleveland. I'm on the east side. Prior to moving to Pittsburgh, I lived in Atlanta. I think that you make art where you land. You do it where you are. I find the cultural buzz in Pittsburgh very exciting. There are many visual artists making very interesting work here and many places all over town in which to see that work. We have the Cultural District downtown, Lawrenceville, Friendship/Garfield, Braddock, the PCA in Shadyside, Neu Kirche on the north side. Each area and venue offers a unique experience for not only artists but for the public at large. Also, I have found an intelligent, dedicated, open and supportive community here. I have a lot of fun with the artists I know, and I enjoy and need the shop talk with them during studio visits and exhibition openings. I don’t have a fully formed opinion about that yet, although I know that there is a lot of ingenuity here. If a need is not being met, someone finds a way to meet it. Most often it’s silent in the studio. But when thinking gets in the way of action, my go to is Thom Yorke, any form of Thom Yorke. Because I’m working toward this two-person show in February, it’s all art all the time. If I’m not in the studio, I’m looking at art, or reading about art, or writing about my own work. That’s what I’m choosing to do right now. If you’re going to do it, do it. Be dedicated. Keep learning. Two of my favorite things in town to take advantage of are CMU’s visiting artist lectures and their grad student exhibition critiques, both open to the public. Also, the monthly critiques at Neu Kirche are great for getting feedback on projects from people who may or may not be familiar with your work. Whether I’m presenting work or not, I always come away having learned something there; the social aspect of the evening is a bonus. Photography by Nathan Shaulis of Porter Loves Creative. Thank you, Sam and Nathan!